Gold-tone chain necklace with natural stone clusters. 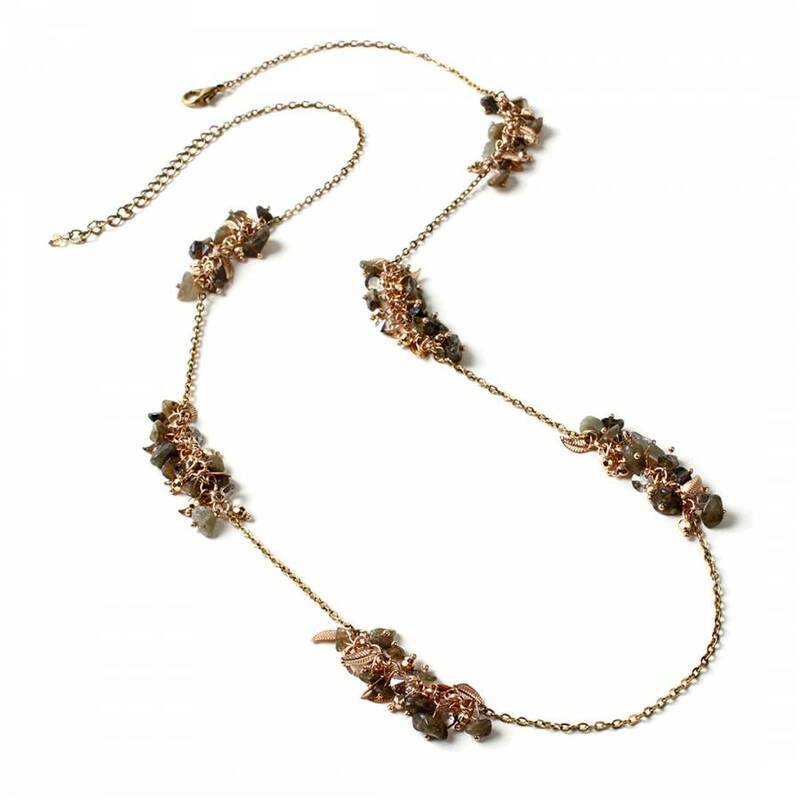 Features: Gold-tone chain necklace with natural stone clusters. Lobster closure.